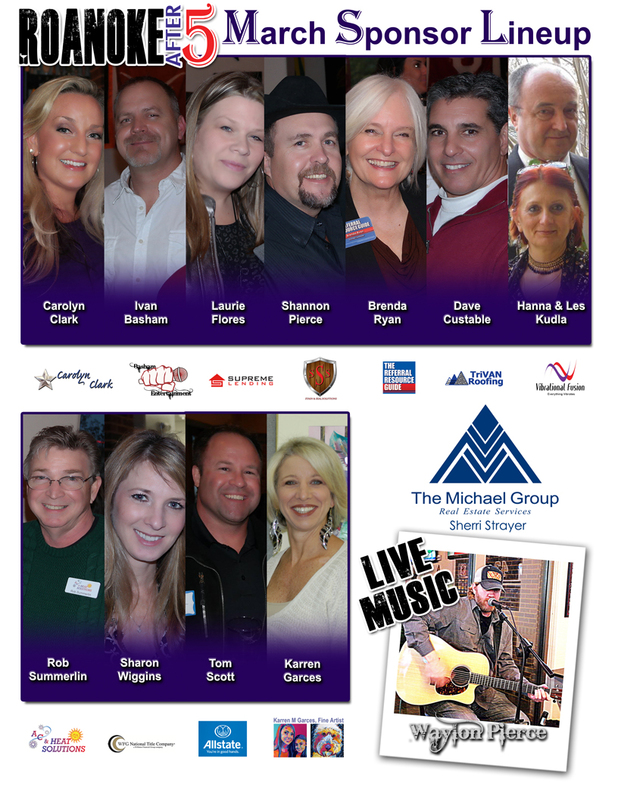 RoanokeAfter5 Sponsor Lineup for March 26th – Check out the cool kids! Home → Events → RoanokeAfter5 Sponsor Lineup for March 26th – Check out the cool kids! RoanokeAfter5.com is very proud to present the March 26th Sponsor Lineup! Check out the coolest kids in Roanoke, be sure to visit their businesses online or in person, and be sure to say THANK YOU and shake hands at the event. Sponsorships keep the event FREE for our attendees and also help make the event bigger and better!